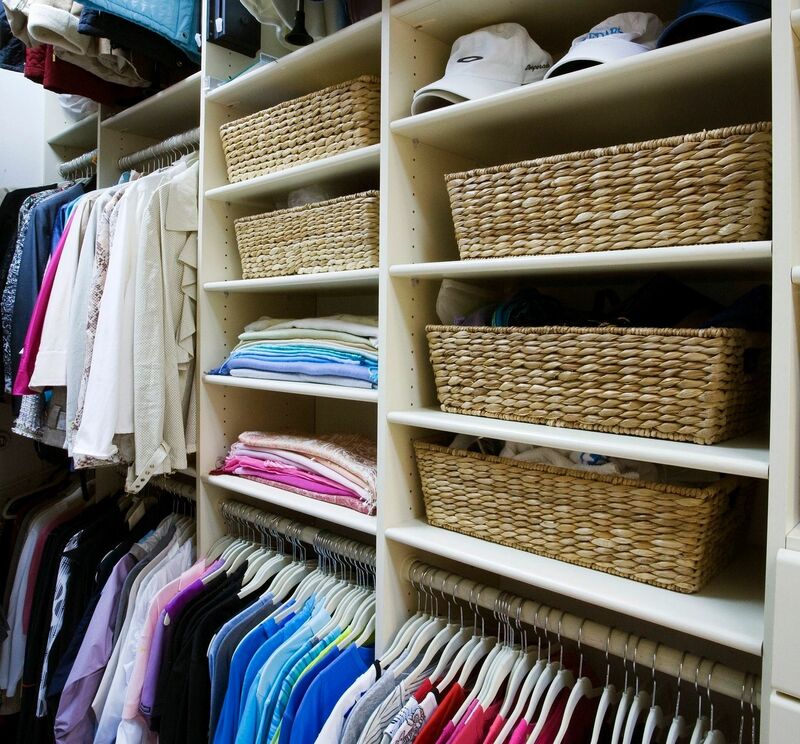 Are you looking to have a fabulous, functional yet beautiful closet? You too can have a luxury closet for less! 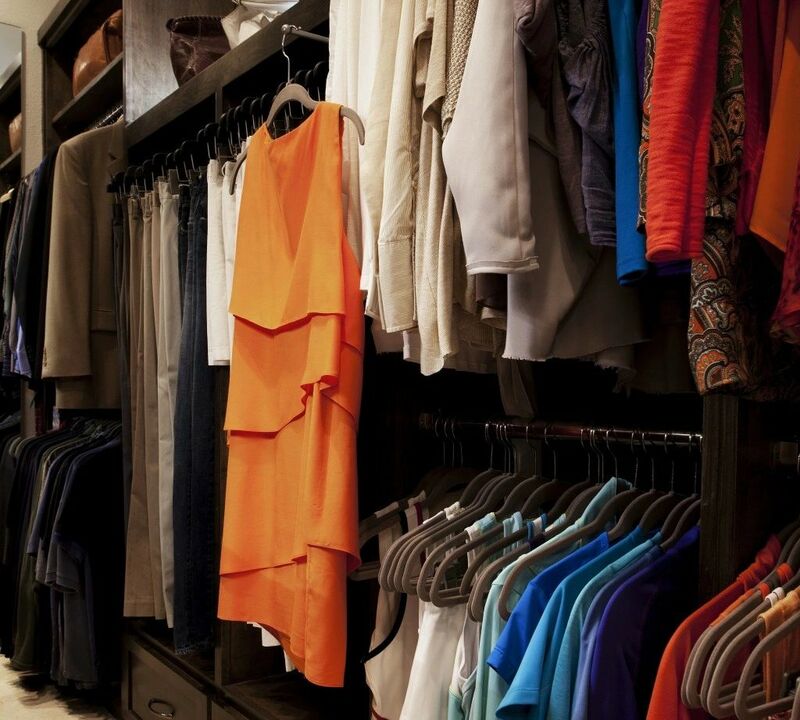 Here are some top tips and inexpensive key accessories to dress it up, by Kathleen Jacobson, premier walk-in closet designer and organizer in Dallas, TX. Want to make an immediate impact? Use matching hangers for all your clothes. 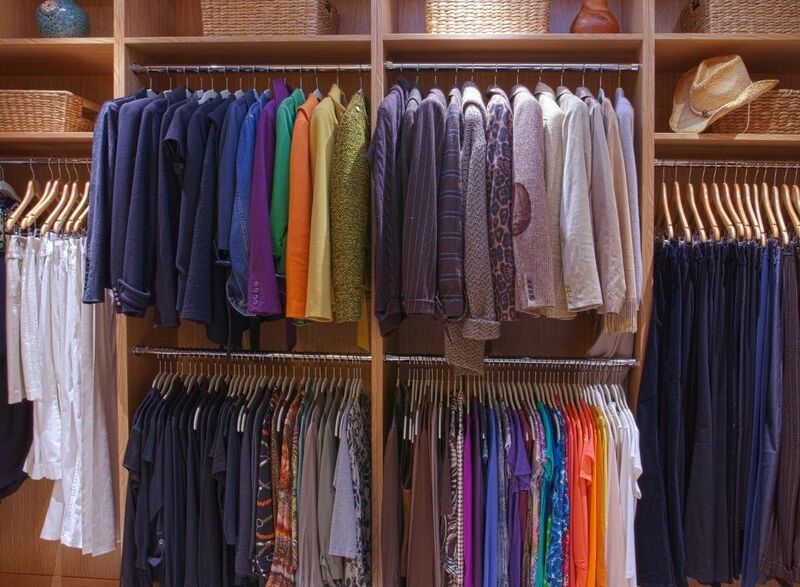 Your clothes will hang at the same height, look uniform, and you’ll save so much space. I like clip hangers for dress pants and the huggable pant hangers for jeans, etc. Hangers from The Container Store. 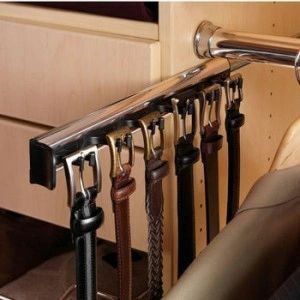 Valet rods will simplify your life! They can be side mounted or inserted into the wood framing. They’re great for organizing your outfit for the next day or packing for an upcoming trip. Find them at organizeit.com. 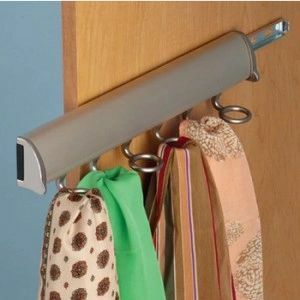 Add these easy mount pull out belt, tie or scarf racks to customize your closet. I like the Hefele “Synergy Elite” Collection from KitchenSource.com. Prices range from $30 to $50. 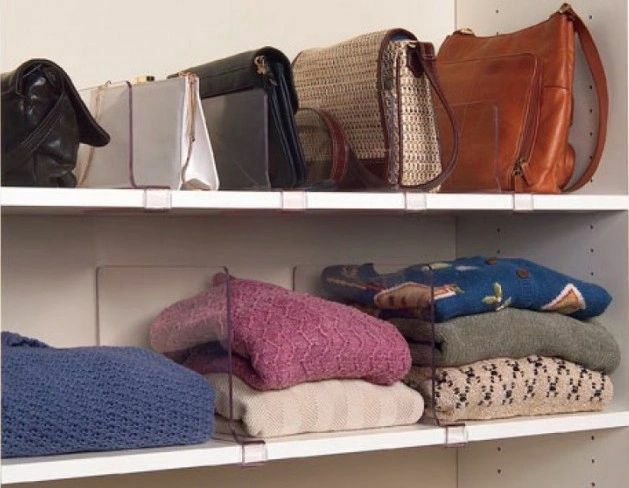 Acrylic shelf dividers keep handbags upright and organized. 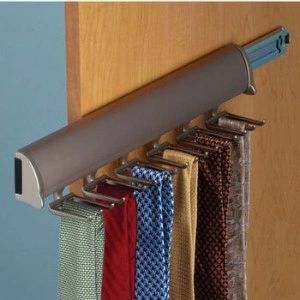 Great for organizing sweaters and tees too. $16.99 from October Company. Baskets are great to corral just about anything. I like the Havana (dark finish) and Savannah (light finish) baskets from Pottery Barn. 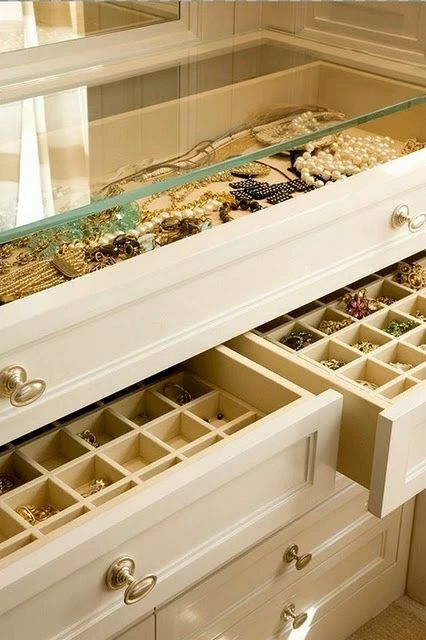 And who doesn’t love an organized jewelry drawer. You can find valet trays at container store, organizeit.com, and amazon.com.